ThermalAIR are experts in heating, cooling, solar and electrical solutions. Founded in Orange in 1976, ThermalAIR is the Central West’s leader in air conditioning and the largest installer, service and spare parts provider in the area and has installed air conditioning systems into countless homes, businesses and facilities across Orange, Bathurst and the Central West of NSW. With a strong focus on quality installation, servicing, management and design assistance, ThermalAIR’s dedicated team of engineers specialise in cooling, heating and ventilation solutions tailored to your requirements. 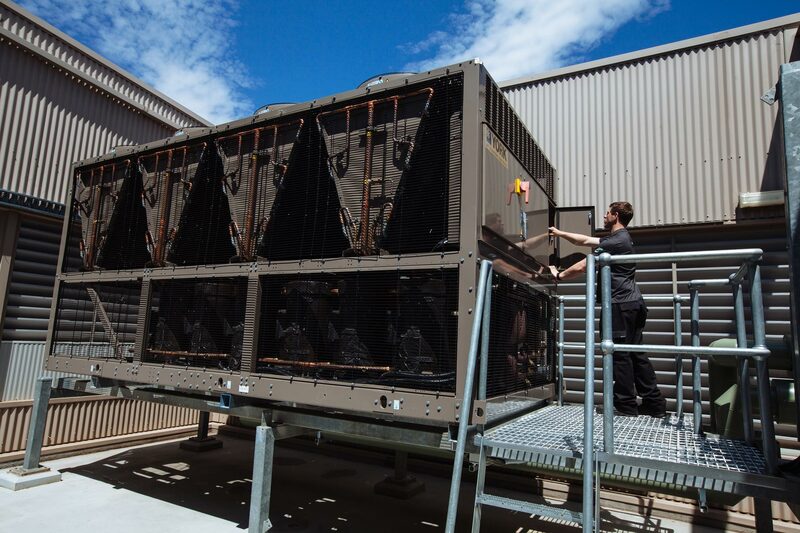 ARA Mechanical trades as ThermalAIR, providing climate-controlled comfort for commercial and industrial facilities across New South Wales. Cooling Solutions: Ducted Systems, Split Systems, Inverter In-ceiling cassette, Evaporative cooling. Heating Solutions: Ducted Systems, Split Systems, Inverter In-ceiling cassette, Gas heating, Wood heating, In-floor heating systems. Heating Accessories: Stainless steel flues, Hearths, Fireplace mantles, Fire tools, SmartBurn devices, Fire screens and Child safety screens. Hot Water Systems: Gas continuous flow water heater. Solar Hot Water Solutions: Evacuated Tube technology. Electrical Services: New residential housing electrical fitouts, Renovations requiring electrical work, Switchboard installation, Building Management systems, Tool tagging, Power point and electrical cabling. Commercial Services: Project initiation and onsite consultation, Project estimation and costing, Design and drafting, Council Development Applications, Construction and Installation, Ongoing maintenance and repairs. Products: Wood fire cookers, Pizza ovens, Slow combustion stoves. Your heating, cooling, solar and electrical specialists.